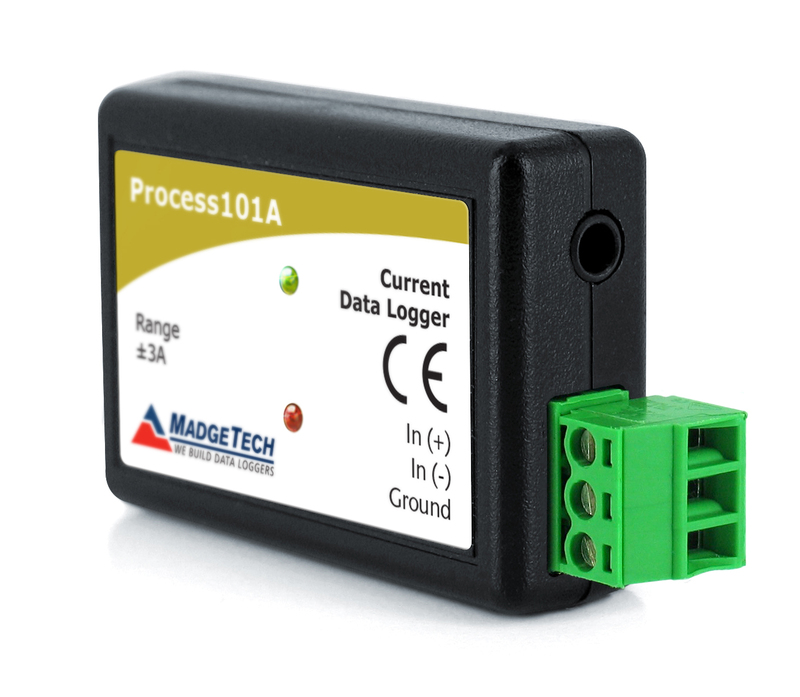 Current wireless TandD data logger for recording current in milliamps between 0 ~ 20mA. 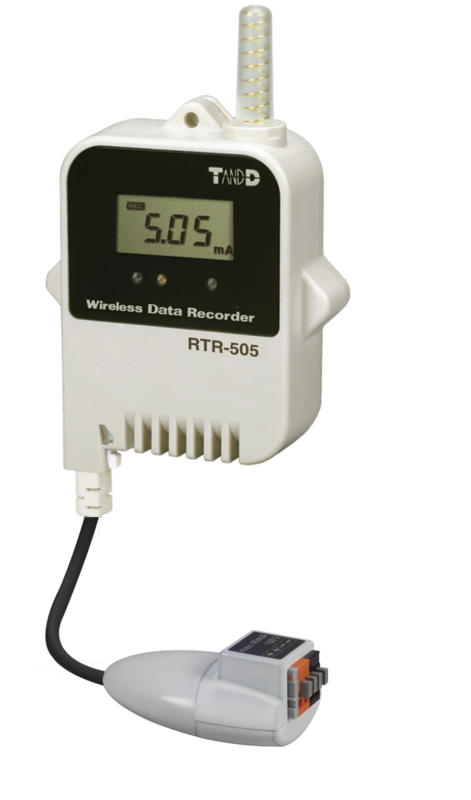 RTR-500 Series: Wireless radio TandD data logger including LCD display, supplied with a AIM-3010 adapter used to connect the RTR-505-mA to an analogue sensor delivering 0 ~ 20mA. 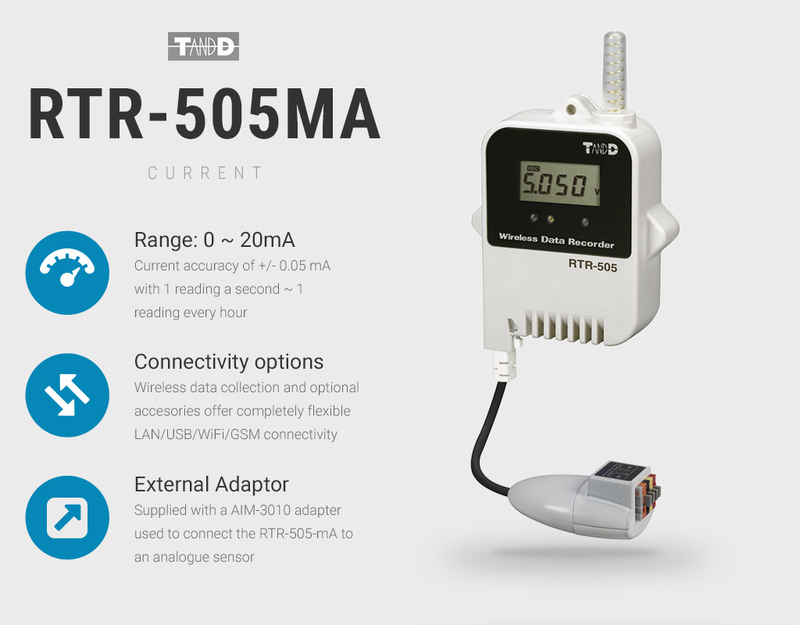 The RTR-505-mA opens up the door to flexible RTR-500 system configurations, suitable for use in laboratories and research facilities. 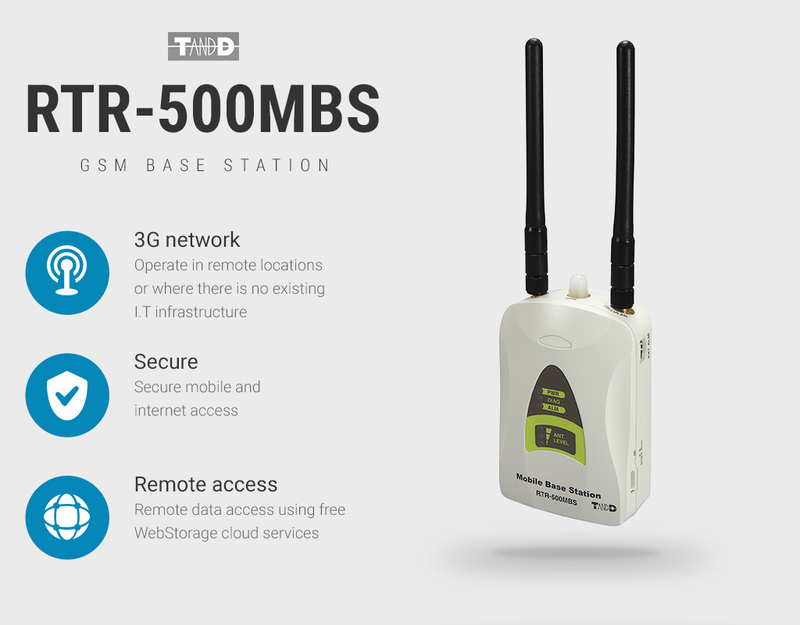 By scaling the current output from an analogue sensor, the RTR-500 series can present you with a wide range of environmental data, using just one system. 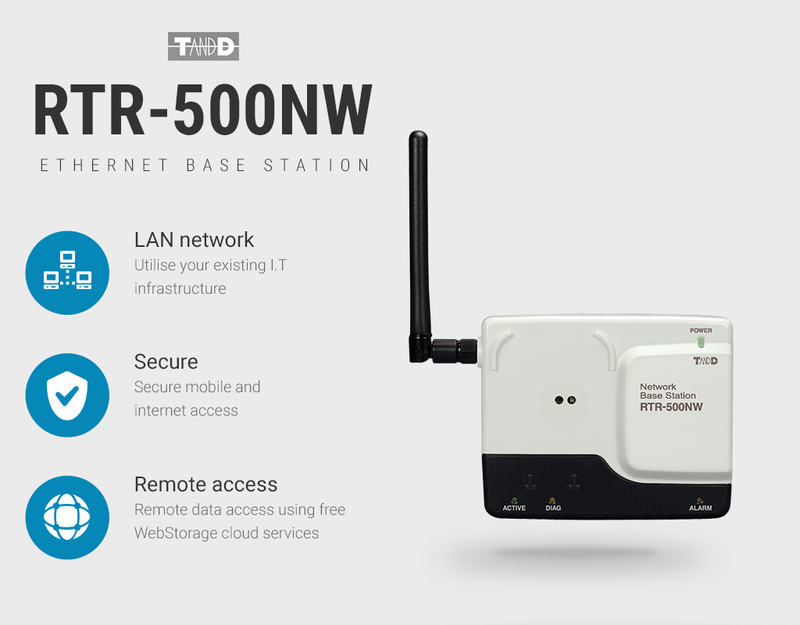 Simply connect your analogue sensor to the RTR-505-mA and monitor your environmental data using the designated base station. Select from PC and/or on-line software utilities and monitor your data and alarm status of appliances and environments in real-time, with archived data retained on your server and on-line with the free of charge with the TandD Webstorage-service. 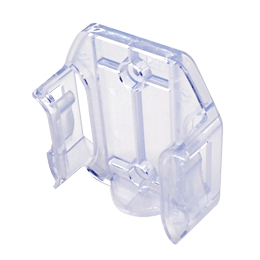 Supplied as standard with AIM-3010 current adapter and 3.6v user replaceable battery. 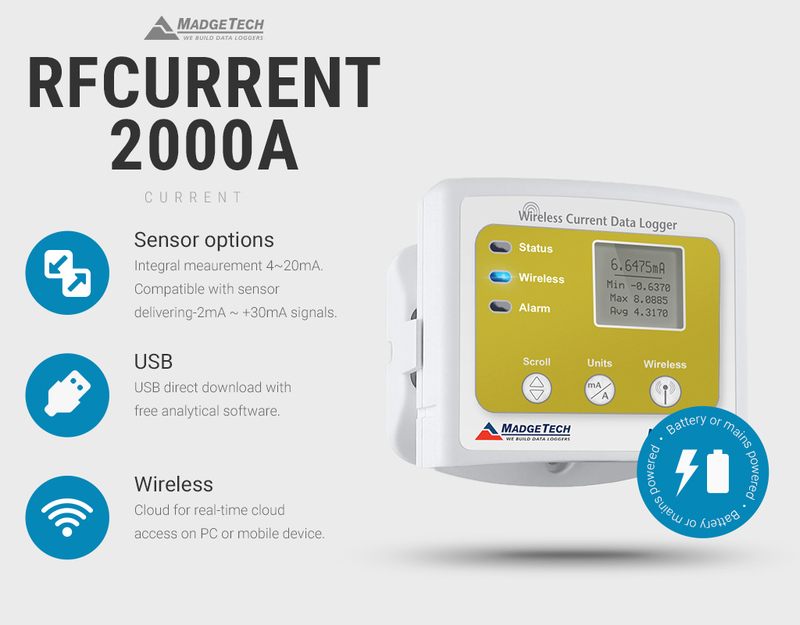 Can be purchased with a [L] Long life battery upgrade or [PSU] external mains power adapter. 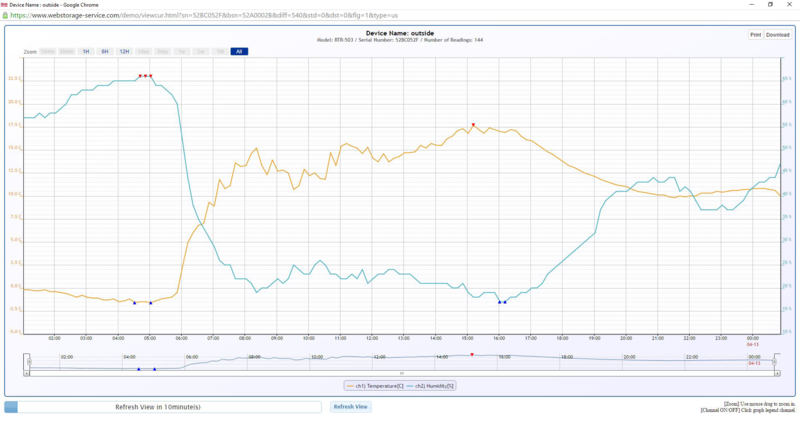 Free service: Provide our engineers with details of your monitoring requirements, we would be pleased to assist you in setting up your system ready for deployment.